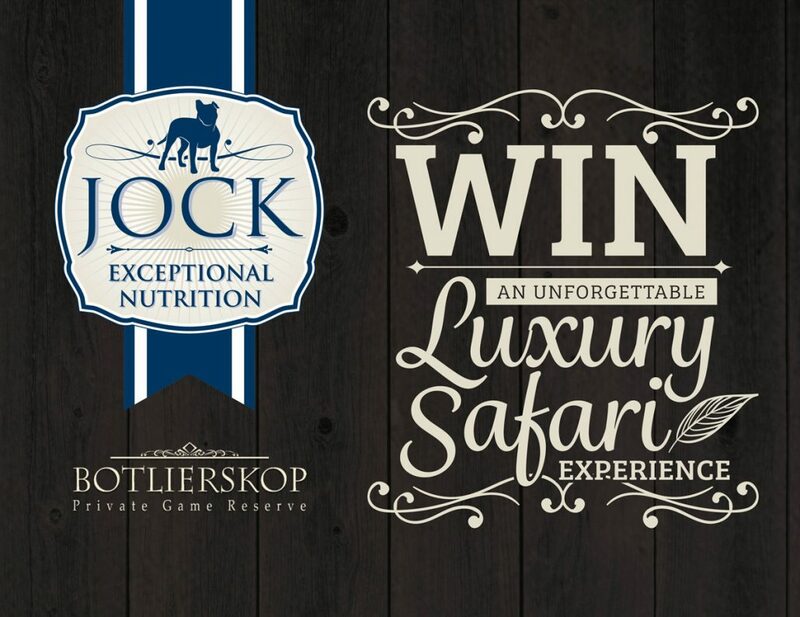 Win a Luxury Safari Getaway for two to Botlierskop Private Game Reserve by entering our in-store Competition. Accommodation voucher for two people sharing at Botlierskop Game Reserve situated in the Garden Route, Western Cape Province – valid from October 2017 to April 2018 for a full board 2-night package in a Luxury Tented Suite. Flights from anywhere in South Africa and transfer from the Airport to the Resort and return are included. For a valid entry buy any bag of JockDogFood at selected stores, attach your completed form and till slip and simply drop your entry form into the in-store competition box. Competition ends on 31 July 2017 and our lucky winner will be announced on 15 August 2017.